Posted on 15th August 2017 at 10:30 am. 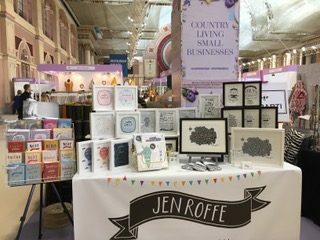 Jen Roffe is a designer specialising in hand-lettered prints, cards, stationery and tea towels with quotes and quirky illustrations designed to make you smile. New additions to the collection include a series of hand drawn maps of Hertfordshire towns available as prints, tea-towels and mugs. All Jen’s prints are available framed and so make the perfect Christmas gift.